RM Sotheby’s London sale is well-known for its exceptional quality and incredibly diverse selection of stunning classics. This year’s auction, returning 7th September to Battersea Evolution, will be no exception, with close to 80 cars being offered from a 1925 Renault Model 45 Tourer to a 2006 Porsche Carrera GT. Marques as varied as Abarth, Bandini, Bizzarini, Cisitalia, De Tomaso, Ferves, Moretti and Talbot-Lago are all represented, and sit alongside a magnificent selection of vehicles from the leading collector marques of Ferrari, Aston-Martin, Porsche, Maserati and Jaguar. For many, the Ferrari 250GT/L ‘Lusso’ certainly has a claim to be the most stylish of the models launched in the 1960s. 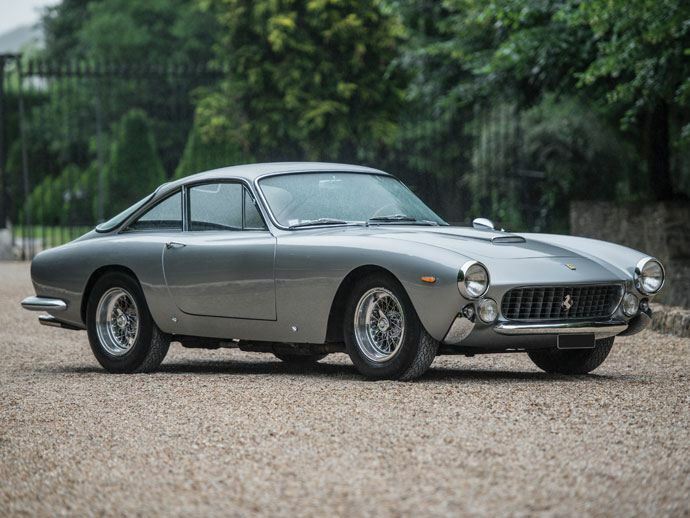 The 1964 Berlinetta offered in London, chassis no. 5885, is the 338th of only 350 examples and was originally delivered new to Zurich, Switzerland. The car has recently spent many years in France and attended several French Ferrari Owners’ Club events, including the Chevaux Vapeur Concours in Paris in September, 2014. During its current ownership, 5885 has been meticulously maintained and is offered in outstanding condition (Estimate: £1,100,000 – £1,400,000). Another rare Italian exotic car seldom seen at auction is the 1964 Maserati Mistral 3.7 Spyder , chassis no. AM109/S 035. 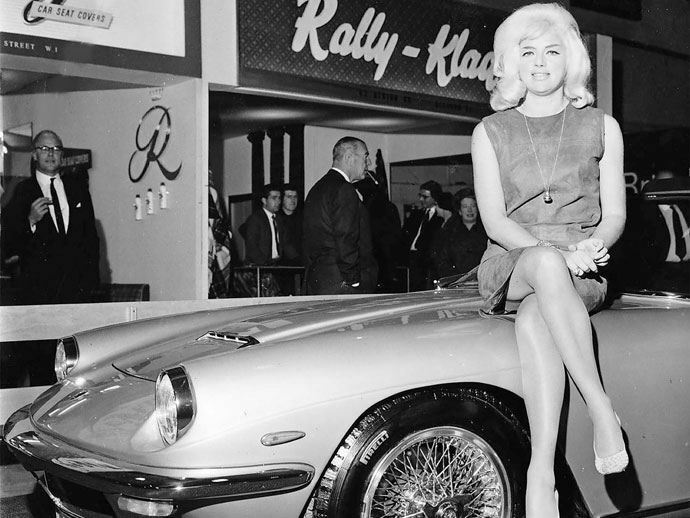 The car in question is the 1964 Earls Court Motor Show car, which was sold new to British screen icon, Diana Dors, commonly known as the ‘English Marilyn Monroe’. 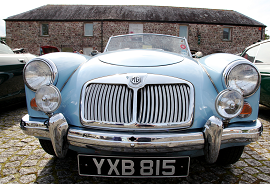 It was a case of love at first sight for Dors, who purchased the car directly off the motor show stand. 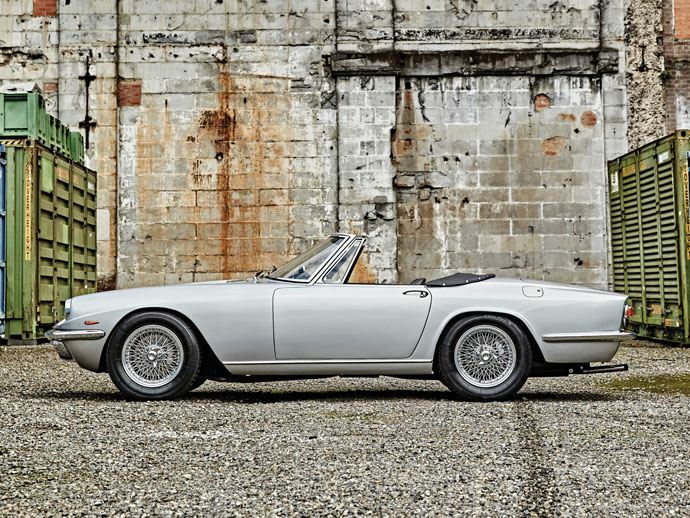 One of only 20 right-hand-drive Spyders built, the Mistral is presented in fully restored condition, and presents an outstanding ownership opportunity for enthusiasts of exotic 1960s sports cars, or for fans of British cinema of the same period (Estimate. £475,000-£575,000). Before the incredible Veyron took hypercar performance to a whole new level, the Bugatti EB110 was one of the great supercars of the 1990s. RM is delighted to offer chassis no. 39038 at its upcoming London sale. The ultimate evolution of the EB110, 39038 is the very rare 610 bhp Super Sport variant, of which only 33 examples were produced. Striking in its original yellow over red leather interior, it is the only EB110 SS finished in this colour scheme, and was recently shown at the Concours d’Elegance at the Techno Classica in Essen earlier this year, where it took home Best of Show honours, a testament to its exceptional quality and condition (Estimate. £600,000 – £770,000). Interest in high-performance cars of the 1980s is rising fast, and none more than those cars which have their roots in the glory days of Group B rallying. The 1984 Peugeot 205 Turbo 16 , chassis no. 152, on offer in London will no doubt attract huge interest, being one of only 200 examples built for Group B homologation. The original Italian market press demonstrator, former Formula One driver (and current F1 television commentator) Ivan Capelli put this actual car through its paces in period. It comes to auction in excellent condition, ready for any aspiring new Timo Salonen or Juha Kankkunen (Estimate: £120,000-£150,000). a recently restored 1957 Mercedes-Benz 300SL Roadster , chassis no. 7500188, stunning in blue with red interior (Est. £650,000-£850,000). The official auction of the UK’s prestigious Concours of Elegance, RM’s exclusive evening London sale will be held at Battersea Evolution on 7 September, with a preview of auction vehicles scheduled for 6 September.